Machiya in Midtown had quite possibly one of the rockiest starts in recent history. Why do you ask? Well before opening in October 2012, this place was hyped up as, "The place that ramen built." Originally named Machiya Ramen Noodle House, they flat out stopped serving ramen shortly after opening, leaving many people like "WTF??" 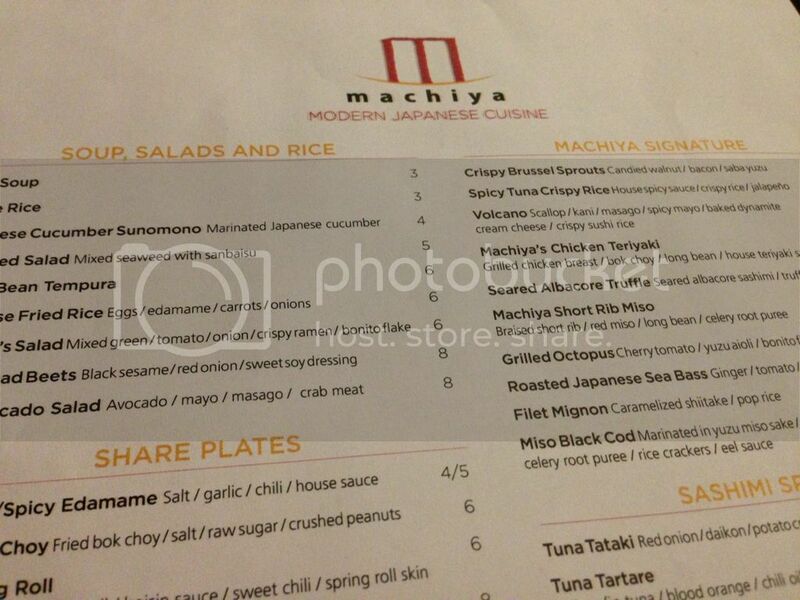 They then changed their name to just Machiya to reflect their abrupt menu changes. I dubbed this whole little fiasco as Noodle-Gate 2012. 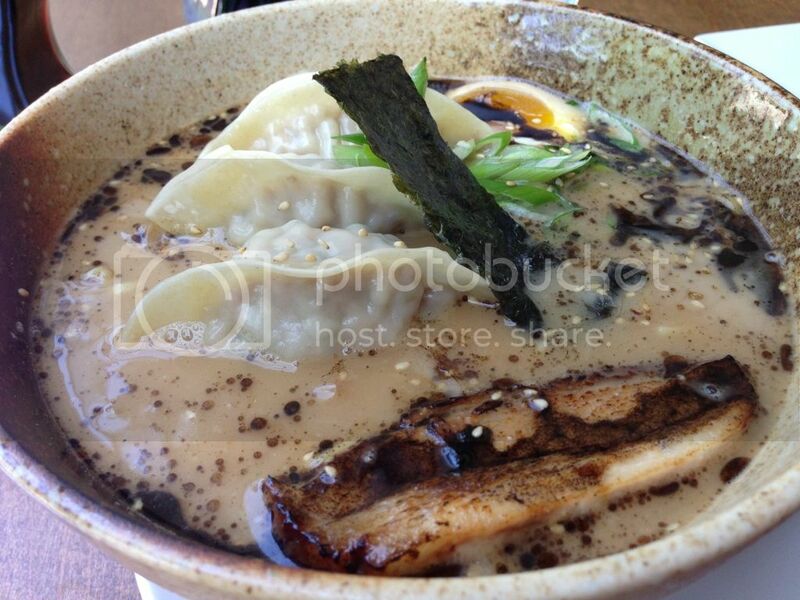 Things have finally started to calm down over at Machiya and ramen has made it's way back onto the menu. 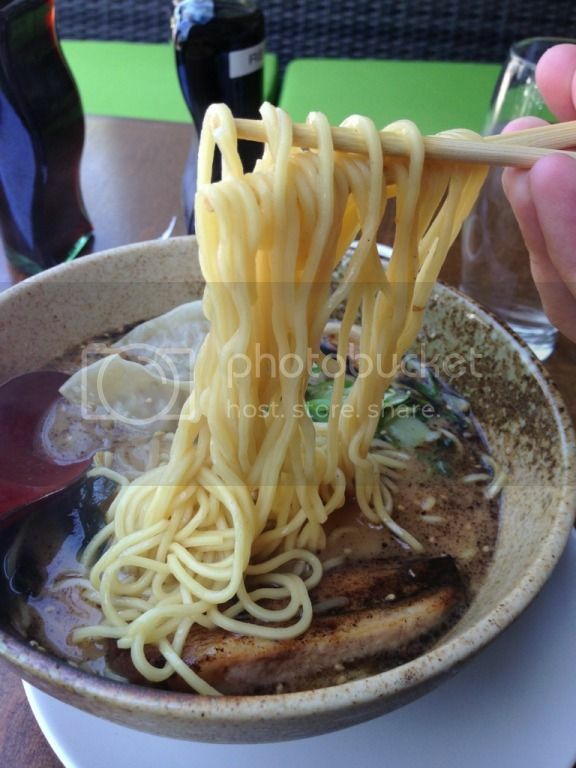 However, ramen is no longer the main focus at the restaurant and they're now serving a giant mish-mosh of traditional Asian or Asian Fusion dishes. So far I've been to the restaurant twice and both times I've left full and relatively happy. Their menu is broken up into several sections including Sushi, Sashimi, Hand Rolls, Ramen, Machiya Signitature Dishes, Share Plates (tapas) and Soup, Salad & Rice I've tried a little bit of everything with the exception of their sushi/sashimi cuz ain't nobody got time fo dat. With so much variety on the menu, sushi/sashimi/hand rolls are the last thing on my mind when I'm here. So onto the things I have tried. I had a couple of their dranks, cuz well... I'm a drunk. My waiter suggested their Black Diamond cocktail, but I went with their Machiya cocktail. I don't do well with suggestions or instructions, mostly because I'm a stubborn mule. 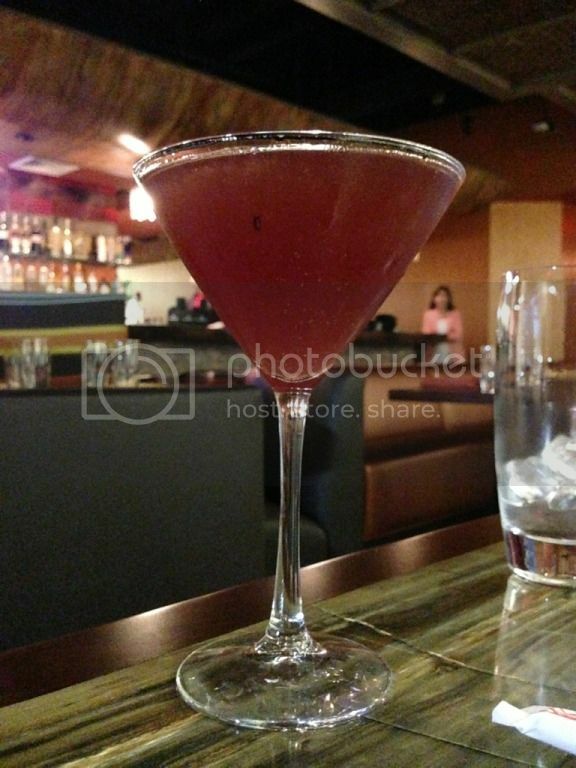 The Machiya cocktail comes with Double Cross Vodka, Prosecco, Briottet Creme de Cassis and Fresh Pomegranate. I wasn't crazy about this drink and found it a little too syrupy for my personal taste. Luckily, my best friend loved it so he took it over. When the waiter came back around I decided to take his suggestion and go with their Black Diamond cocktail. 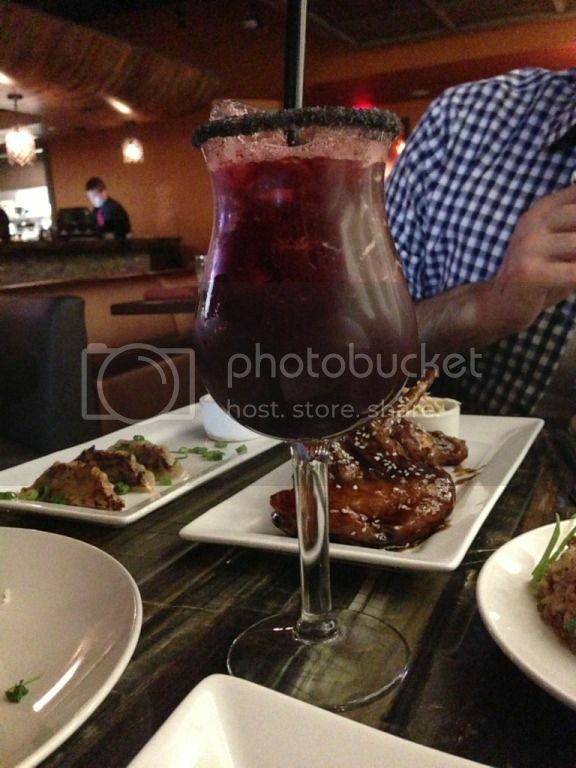 It comes with Maestro Dobel Tequila, black cherries, lemon juice and agave. Good lord that drink was strong! Gave me hair on my chest and errthang, don't worry though the laser hair removal starts next week. 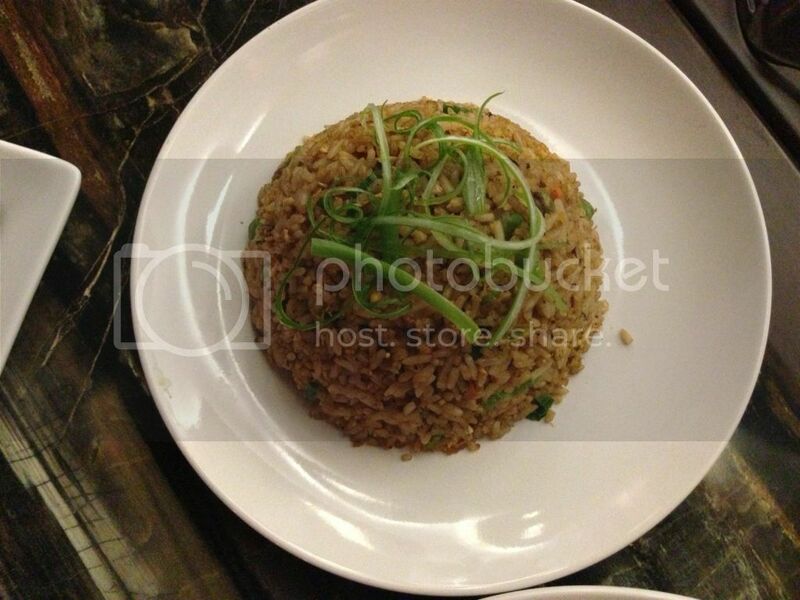 We then moved onto their food and started off with their Japanese Fried Rice. Simple fried rice with chopped carrots, onions and edamame. Perfectly seasoned. 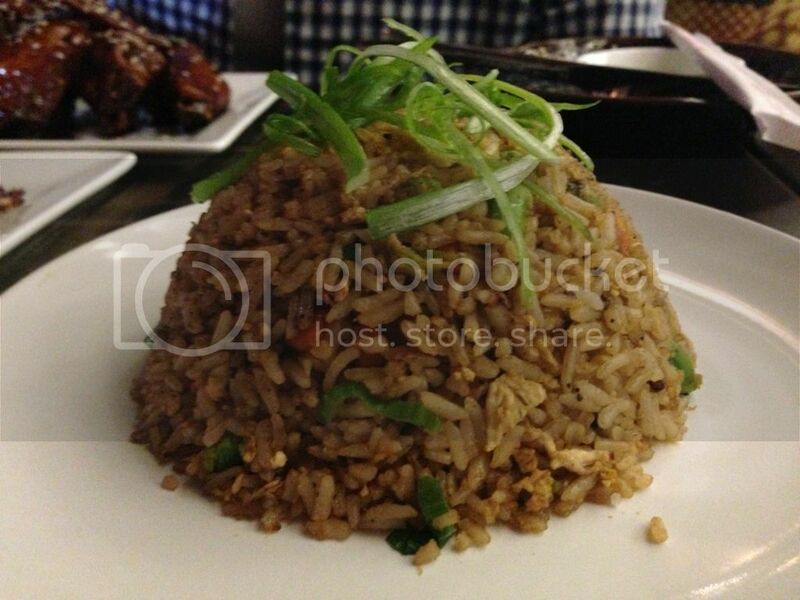 Nothing particularly different or out of the ordinary about this fried rice, just well done and tasty. 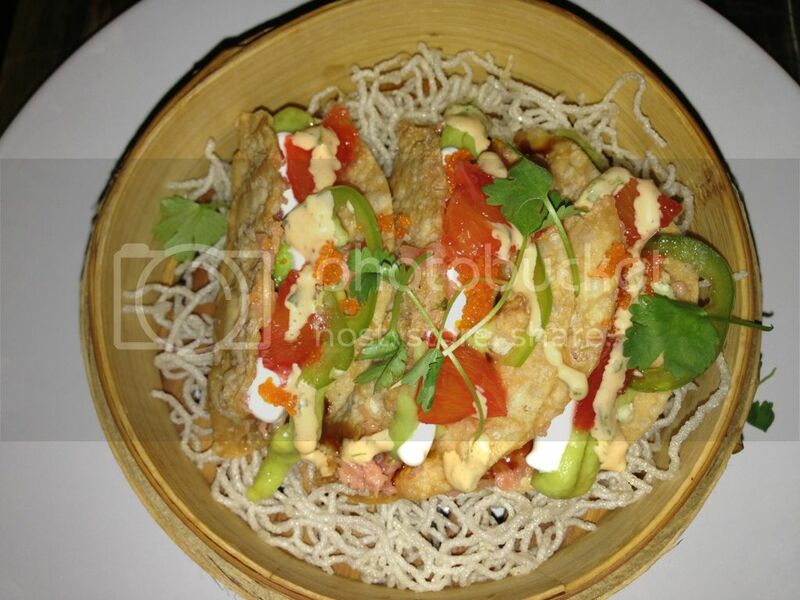 Next we had their crispy pork gyoza. These were quite possible the best gyoza I've ever had. Slightly crisp yet still juicy on the inside. 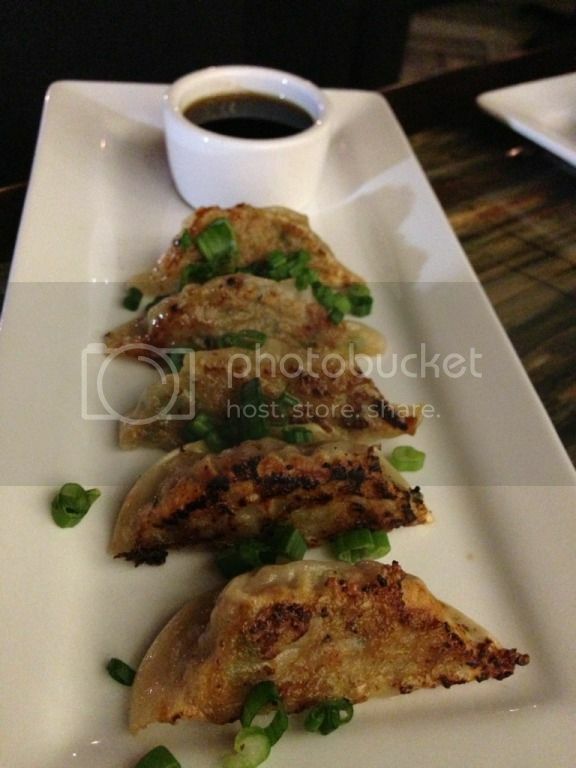 They're filled with ground pork, scallions and cabbage. 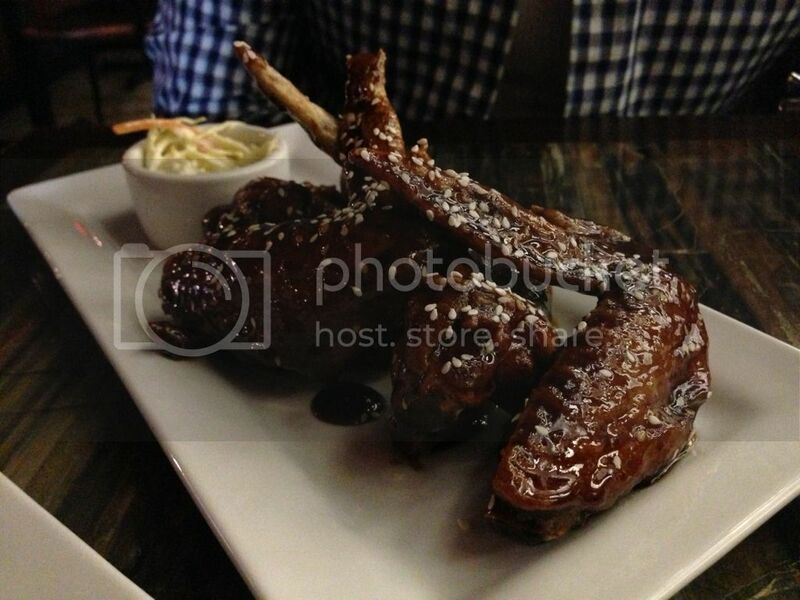 Absolutely delicious, I'd get these again in a heartbeat. The waiter adamantly suggested their Machiya Japanese Tacos. The presentation of these little guys was great and they're beautifully colorful. The little tacos come filled with raw tuna, guacamole, crème fraiche, eel sauce, jalapeño and sliced blood orange segments. Whole lot of flavor going on in such a small taco. Is it good? Yes. Can you taste any tuna? Nope. So many flavors going on at once completely drown out the flavor of the tuna. Moving right along, we got their Spicy Sesame Wings. This is a misleading name, because their ain't no kind of spiciness (as in hot, caliente, burnin in your mouth sensation) going on with these wings. I actually found them a bit sweet actually. Definitely finger-lickin good, but not spicy. 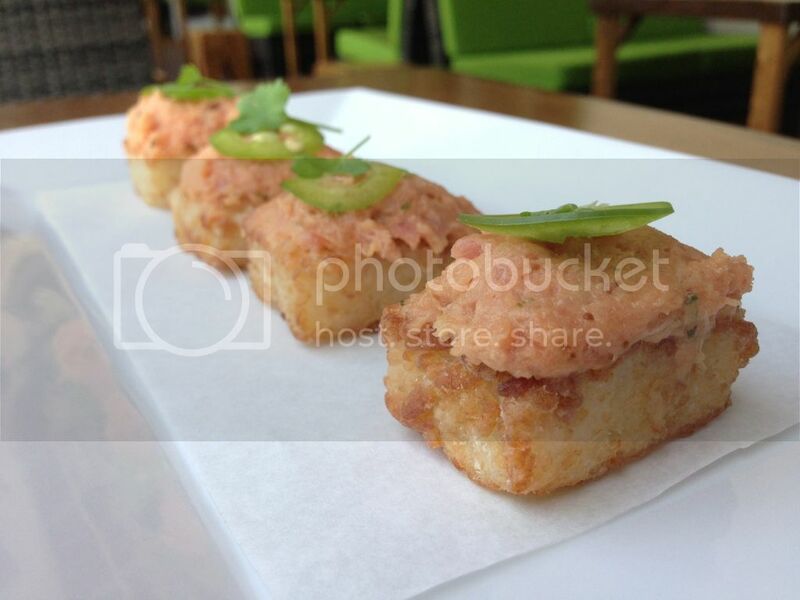 Next up I tried their Spicy Tuna Crispy Rice. 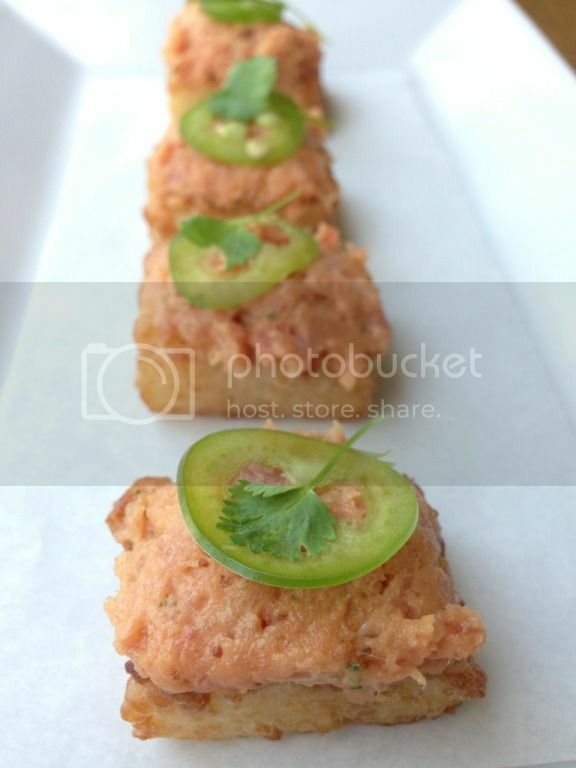 I have a secret love affair with the Spicy Tuna Crispy Rice at Makoto in Bal Harbor, so my standards are a bit high for this dish. Have to admit that Machiya's version of this dish is a solid second place to Makoto. There are a few other restaurants in town that make this and Machiya is the only one that comes close to Makoto. They come topped with a thinly sliced jalapeño so it gives them a nice layer of heat. I ended up asking for a little bit of sriracha on the side and dipped them in the sriracha, surely gave them an added kick. I'd get these again without hesitation.